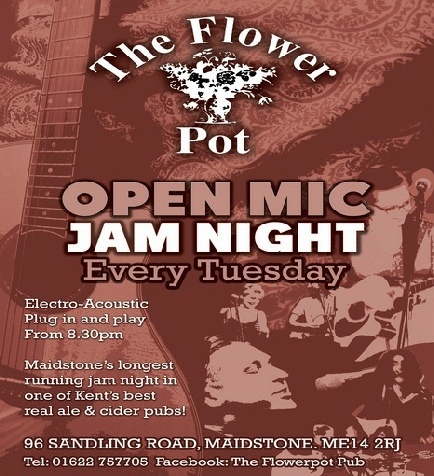 Every Tuesday at 8.30pm is Maidstone's longest running electro acoustic jam session. 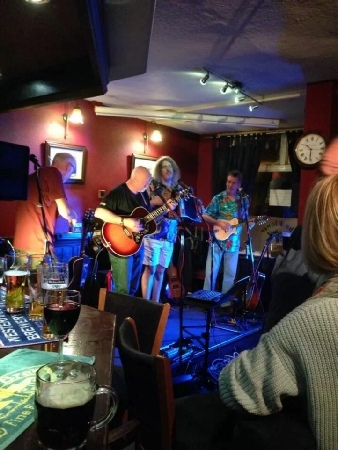 Musicians and spectators are welcome to join in and enjoy a large spectrum of music including Blues, Country, Folk, Rock and on the odd occasion Poetry and stand-up comedy. A full sound system is available so bring your instrument and plug in and play. Blues, Americana, Rock, Folk, Pop, Country, Original, Local, Blue grass, Alternative, Jazz, and Soul. Please see local press or click the links below for listings.